I genuinely hope that one day KZ will be able to properly tune their headphones. Alas the KZ ZS4 does not seem to follow the AS10 in being balanced and in offering high quality sound, instead offering the traditional V-shaped signature with spikes and dips KZ is mostly known for. On their side, though, there is the fact that they are dirt cheap – they are 1/5 the price of the AS10. As successors to the ZS3, the ZS4 are similar in shape and size. Yet they are well different. Disclaimer: this is a complimentary unit sent by AK Audio. They sell the ZS4 on AliExpress at $15. KZ got back to their usual cardboard boxes with a plastic lid and tray. Packaging is therefore very simple and down to basics. The box holds the earpieces, the cable and three pairs of silicone eartips. The KZ ZS4 is practically identical to the previously-released ZS3. The shell is made of plastic, either red or black. KZ stuck with a tried-and-true approach – the ZS3 was quite a successful product, so a rehash could indeed work (as they say in Italy: never change a winning team, though there are limits of course). 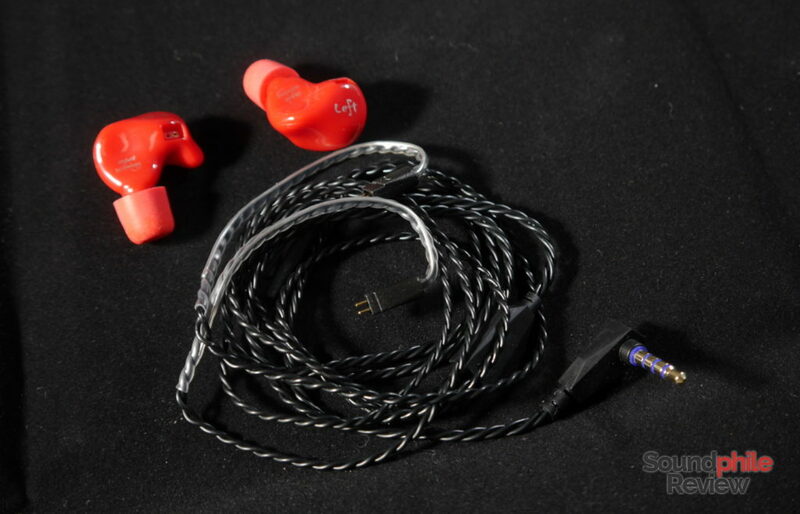 Each earpiece is labelled with the channel name written in rough cursive and the text “hybrid technology”. The shape is ergonomic, in the sense that the shell should be shaped following the shape of the inner pinna in order to maximise comfort. 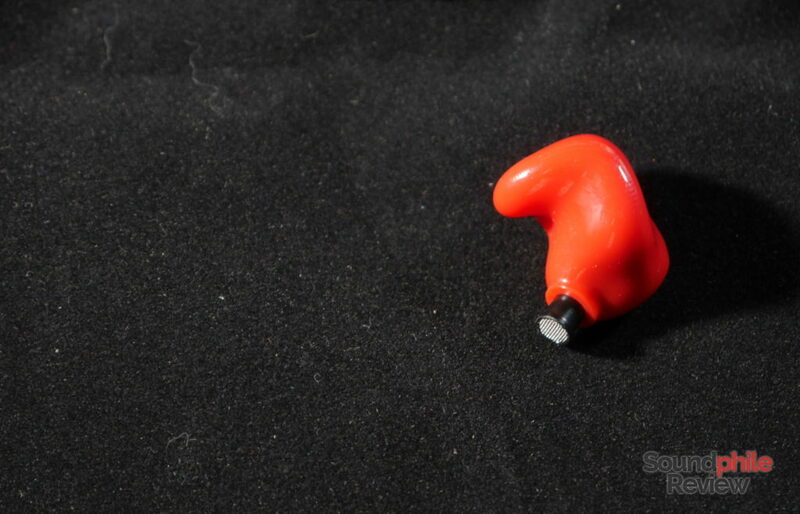 In this sense, KZ followed the same approach used with the KZ ZSR – except with different shaping that should make the shells more comfortable for a wider audience. 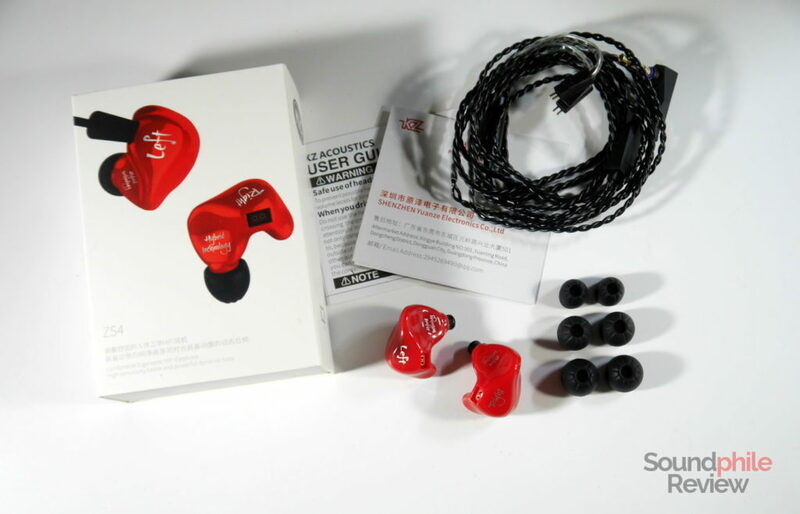 As with every other KZ IEM, build quality is good but not exceptional; the plastic used is decently solid, but you can easily see this is a cheap product. Considering its price tag, however, the KZ ZS4 is really good. The cable is removable and uses 0.75 mm 2-pin connectors, which are a standard in the industry; the sockets on the earpieces are recessed and need cables that take this into account: using a cable such as the Yinyoo 6-core copper cable is not possible because of the recession, so a cable such as the Yinyoo 8-core SPC cable or Kinboofi 8-core SPC cable with a protruding connector is necessary. In addition to this, the very shape of the shells makes it almost mandatory to use cables with an L-shaped connector. Comfort is more than decent, and I can wear the KZ ZS4 for a couple hours before I feel any kind of fatigue. The ergonomic shape work fine with my ears and adapts to my pinnae almost perfectly, though it could possibly be an obstacle to comfortable wearing for some. Ears all differ from one another, so the heavily ergonomic shaping of the shells may instead be detrimental if one’s ears are shaped differently. Comfort is in fact incredibly personal, so take my comments with a pinch of salt! Isolation is basic. 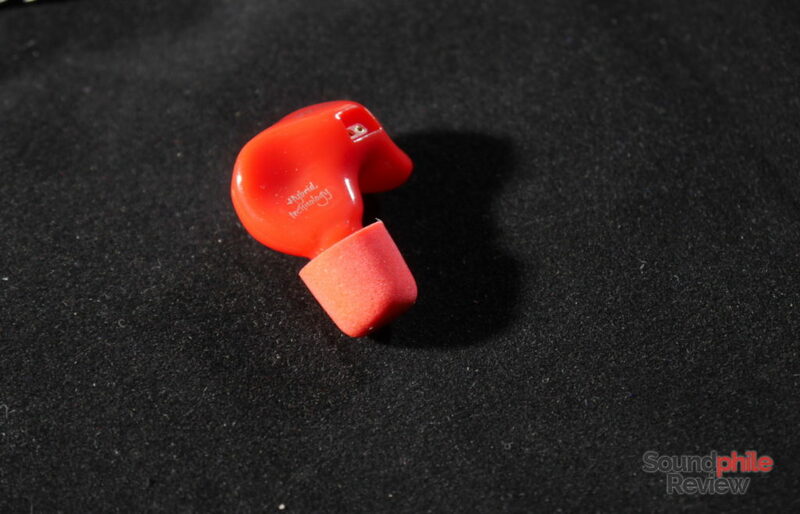 Even using foam eartips there is just a slight reduction in the volume of sounds coming from the surrounding area. Subways and other noisy environments are not ideal settings where one can wear the ZS4. The cable is the same KZ has been using since they introduced the ZS10: a braided copper cable with four cores, which is decently built but flimsy. I recommend using an aftermarket cable, although that would cost as much if not even more than the earphones themselves. As usual, I used several sources to try the KZ ZS4 out. Among them are: a Topping DX7, a Topping D30 feeding a Venture Electronics RunAbout 2.0bl, a Venture Electronics Odyssey and a Cayin N5ii. I used a Yinyoo Brown Cable with a 2.5 mm balanced connector and an iFi IEMatch2.5 (with adapters where needed). The KZ ZS4 keep in line with previous products and does so by being essentially usable with practically every source out there: the low impedance and high sensitivity they have make them very easy to drive. An amplifier is not needed and even smartphones can drive them easily. Inside is a single dynamic driver coupled with a single balanced armature in a traditional hybrid configuration, where the dynamic driver takes care of bass and lower midrange and the balanced armature takes care of the rest. The sound signature is heavily V-shaped, with powerful lows and prominent highs that surround recessed mids. Bass is especially notable in being emphasised, almost excessively so, and treble becomes piercing and very fatiguing. In terms of technical ability, the KZ ZS4 is not the best you can find: soundstage is relatively small and it never takes the “in-your-head” sensation out of the equation; imaging is rough and can’t place instruments accurately on the stage, with loosely defined positions that are just left/right/centre most of the time; instrument separation is really basic and doesn’t allow one to distinguish nuances and multiple instruments in congested tracks. Often times I have a feeling that bass is excessive when listening to the KZ ZS4. Despite good extension, that brings lower notes to still be audible around 30 Hz, presence is excessive: bass is often aggressive and it leaks over the mids, making it difficult to hear the lower midrange because of its bold (and overwhelming) nature. As long as there is little bass in the original recording, everything is fine, but take a bass-intensive track and everything becomes dark and bloated. Thankfully it’s not muddy or flabby; it is not super-fast or detailed, either, but it is controlled enough not to become (too much of) a mess of undistinguishable low notes. You won’t hear fine details nor be able to distinguish instruments beyond basic things, either: taking Massive Attack’s famous Angel as an example, bass lines and drum kicks are barely distinguishable, whereas one should be able to clearly tell them apart and also get quite a number of details about the bass. In short – there is a lot of bass, but not that high quality. Midrange is alas heavily recessed and leaves you craving for more; it is as if it was always distant or damped. It is almost always suffocated by bass and treble, almost left in a background role instead of being in the spotlight. In addition to these general balance issues, there are internal imbalance issues to speak of as well. Mids are in fact tilted towards the higher part, and they sound overly bright in most contexts, with higher-pitched instruments (say violins, electric guitars, etc) that sound aggressive and shrill – definitely not pleasant and smooth. And although mids tend towards the higher part of the spectrum, the slope from the lows is not steep and therefore grants some warmth to the sound. Tonality is therefore a bit off and it’s difficult to describe it – it is V-shaped, but not in a balanced way. Detail is acceptable, and so is speed – nothing exceptional, really. A small side note: the KZ ZS4 are among the few headphones I have tried so far that causes me headaches because of their tuning. I think this is because of their upper midrange and lower treble, but I am not too sure about it. Either way, I can’t use them for prolonged periods because of this issue. This is strictly subjective, so it may not apply to you – I feel like writing it was the right thi to do, though, as it has been a consistent fact in my usage experience. Finding ideal genres is a daunting task; I may say that genres that privilege lows and highs are best rendered, though it varies wildly due to different productions and consequent different tunings of the tracks. KZ ZS3: though I never publish a review of the ZS3, I have it in my collection. Though the perceived level of detail is inferior, the ZS3 are a bit more balanced than the ZS4. Their bass is in fact much more quiet, but so is everything else: midrange is even more recessed, while treble is less present but also way less detailed. The ZS4 is more heavily V-shaped, but it also has better detail throughout the spectrum. In terms of technical ability, the ZS4 are comparable to the ZS3. I would not say that the ZS4 are an upgrade over the ZS3 and, should we look at tonality alone, they are in fact a downgrade; whether better detail is worth the choice is up to one’s preference, while also minding the differences in tuning. KZ ES4: the ES4 are undoubtedly the best of this comparison in terms of balance. Although they are a bit on the bright side, with a bump in the upper midrange area, they keep much better coherence that makes them far more enjoyable than the ZS4, without any excessive emphasis. Bass does not extend as deep, but it is more controlled and less overwhelming; midrange is more in the spotlight and is therefore much more enjoyable; treble is a tad more detailed and way less piercing. The overall quality of tuning is vastly superior and the superior level of detail reinforces the positive difference. When it comes to technicalities, the ES4 is not too far off from the ZS4, with soundstage being a bit larger, imaging being just slightly better and instrument separation being decidedly better but still not impressive. KZ ZSA: the ZSA are plagued by similarly oppressive bass, but the counter that with a much less apparent upper midrange/lower treble spike. Midrange itself is recessed and a bit aggressive, as it still has a spike in the upper region that make it sound as if it lacked body. Treble has a similar level of detail and similar extension. The ZSA are more balanced overall than the ZS4, despite not being balanced at all in general terms. Talking about the technical aspect, the ZS4 is largely comparable to the ZSA – the differences are really small. 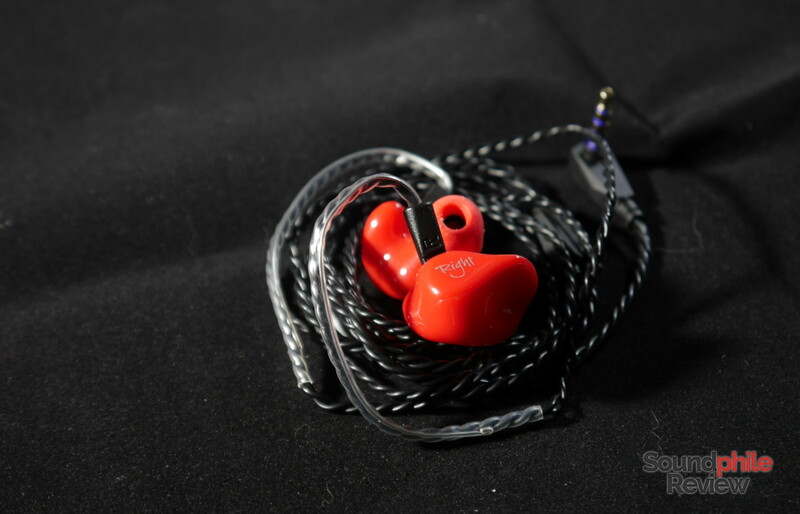 KZ ZSR: the ZSR are much brighter in tonality, despite bass being similarly emphasised. This is because the upper midrange and lower treble is even more prominent than on the ZS4, leading to extremely piercing highs and a midrange area that lacks warmth. The positive side of this fact is that treble appears much more detailed – or, to be more precise, it is just easier for one to catch details as they are displayed more overtly. As for balance, the ZSR are even more of a disaster than the ZS4. Technical ability is similar, yet the ZSR have a slightly larger soundstage. Roger Daltrey of The Who sang: “I write the same old song with a few new lines and everybody wants to cheer it, I write the same old song you heard a good few times – admit you really wanna hear it!” (this was New Song from the album Who Are You). Well, in this case that’s not really true, though we’re talking about headphones instead of songs. The KZ ZS4 is that same old song that is becoming tiresome. It has the same issues that have always plagued KZ headphones: lack of balance and piercing highs. The ZS4 are not bad, but they’re just the umpteenth rehash of the same signature without any improvement. And this is rapidly getting boring. Yes, they are indeed cheap, but with little additional expense one can buy way better products, so why bother? KZ ZSN is on your review plan list? you should try burn-in them for 100 hours . and see the improvements! try is free. no worry. I knew someone was going to write this as soon as I stopped writing that I do break-in (or burn-in) on headphones. Well, I did, I just did not write it. And you know what? It does not change anything. It’s a myth and it’s been demonstrated on multiple occasion to be so. I get headaches from this kz model too. I can’t listen to a high volume cause there’s some high noises going straight to your ears and brains. I never had that on my soundmagic, senns etc. I also wanted one compaible with the bluetooth cable of the ZSA that i have. What is your suggestion? ZS3, ZS4 or something else. Anyways thanks for your very detailed and informative review. The ZSA are the earphones with the most bass by KZ, so finding something that has even more bass is a bit difficult. I think that you would be disappointed in the other headphones as they are less bassy than the ZSA. Maybe the ZS6 can give you more punch, you could try those.